In order to merge two pages, you must first be an administrator at the “manager” level on both. (If you are merging a Places page, you need to first claim it using these instructions.) Decide which page you’d like to keep. Note: while the likes and check-ins from both pages will be consolidated onto the remaining page, you will lose all content, photos and posts that are on the other page, as well as that page’s username. We suggest you merge the page with the least amount of likes and engagement into your more popular page. 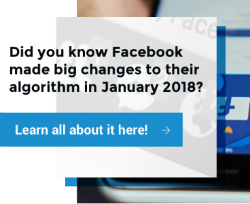 Before you begin the merging process, be sure you’re an admin of both pagesand that they have the same address and similar page names, which will indicate to Facebook that these pages represent the same business. If the page names are not similar, edit the name of the page you don’t want to keep. It doesn’t matter what you name it as it will not override the main page’s name after the merge, though we suggest giving it a slightly different page title so that you can differentiate the pages during the process. For example, if your main page is called Store ABC, call the other page that you’re merging into it Store ABC 2.